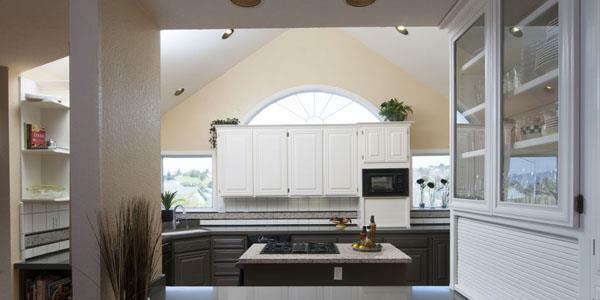 Your existing kitchen and bathroom cabinets can look BRAND NEW at a FRACTION OF THE COST of replacing them! 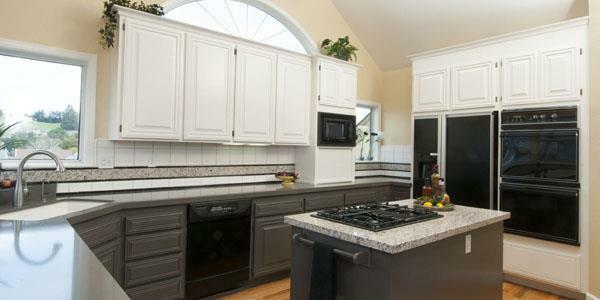 Refinishing your cabinets allows you to keep your existing cabinets. With Daryl Stone Painting & Decorating you don’t have to worry about the condition of your old veneer, evenly applying stain or trying to match existing woodwork. We give you plenty of options for your project. We will refresh your old look or provide an entirely new color. Best of all, you can be sure the job will be done perfectly. Since the project won’t involve buying new doors or cabinets, it will also be very affordable. Updated doors and drawer fronts, new hardware and hinges, the option to replace drawer boxes, and a color change give your existing cabinets the look of a brand-new kitchen or bathroom. 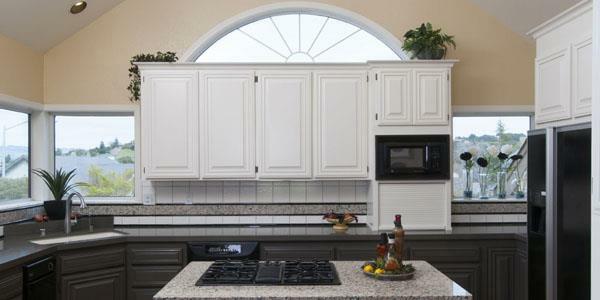 We can change your layout or alter cabinets to accommodate new appliances. From start to finish, we work to reduce dust and keep a clean work environment. We protect your floors and seal off adjoining rooms. cleaned. The entire process is complete in less than 2 weeks. Give Daryl Stone Painting & Decorating a call today at (707) 364-2710 to schedule a FREE consultation. 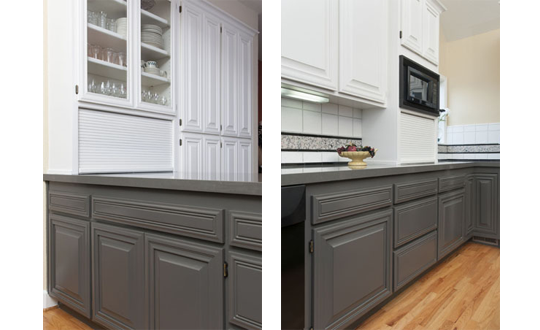 Soon your cabinets will have the new finish you’ve been dreaming of!